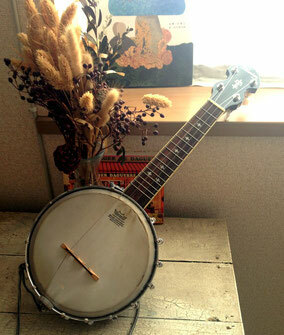 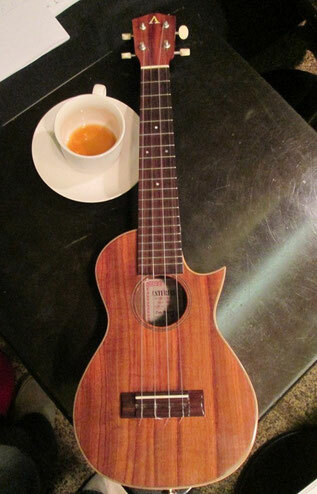 製造元 : Johns, Perry & Co.
製造元　荒井貿易 Aria Guitars Co.
perfection for over 30 years. 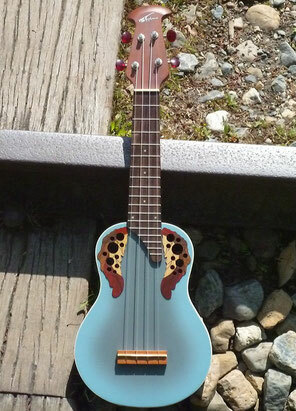 Comment :The tuner buttons are hand-carved from blackwood. 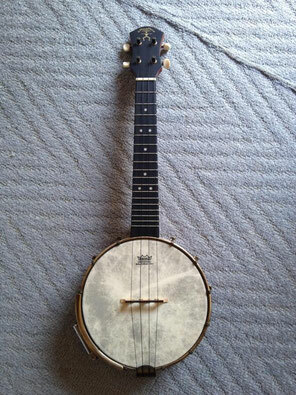 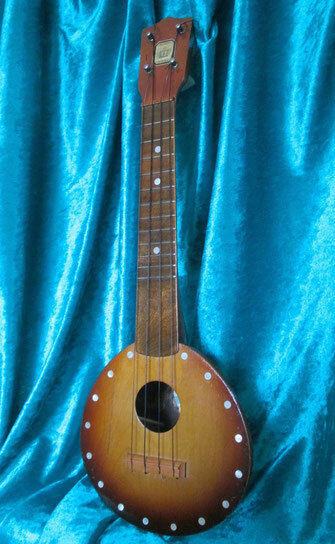 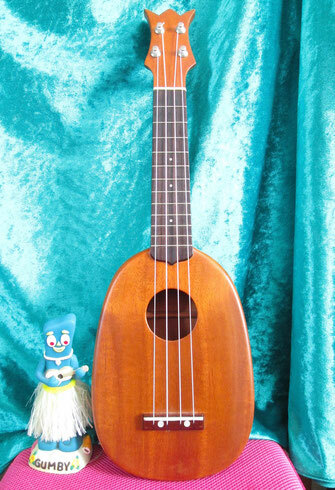 There is a mother-of-toilet-seat fingerboard (pearloid), two rings of B&W rossette around sound hole, plus more binding, and a thin strip of persimmon down the back of the neck. 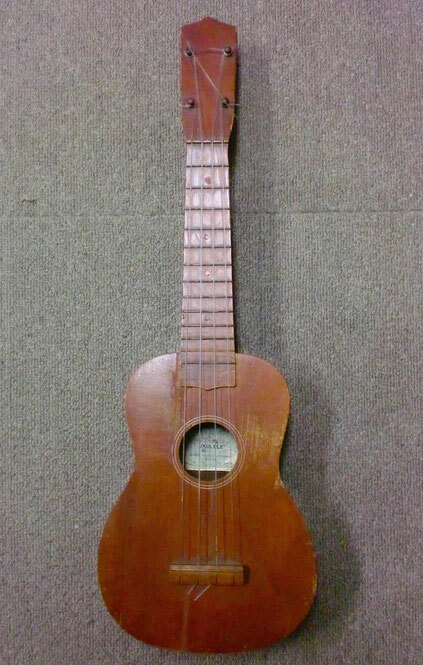 There is an end graft triangle of B&W ebony with an ivory border, plus an ivory "cloud" inlay on the bottom of the front (made from an old piano key). 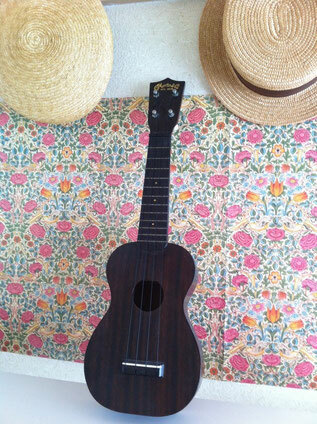 The bridge is ebony with a blackwood saddle and there is an ebony cap on the heel. 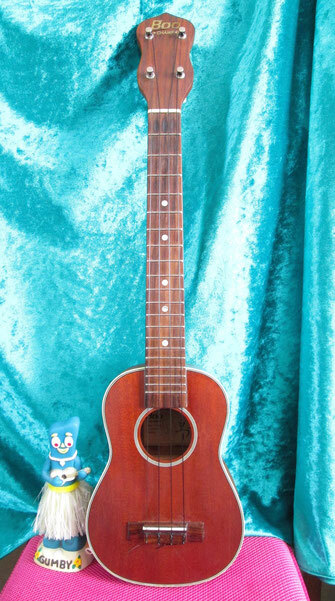 The nut is made of bone. 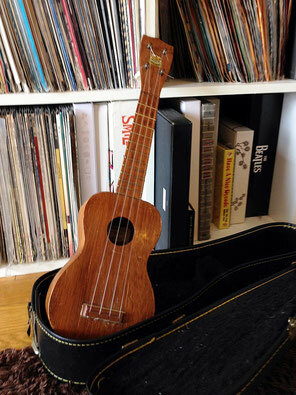 Shown here nestled in it's new tweed case. 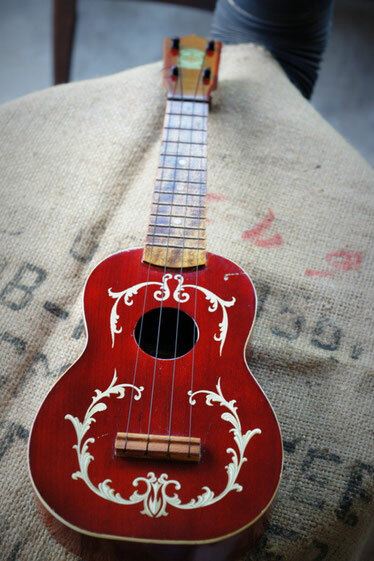 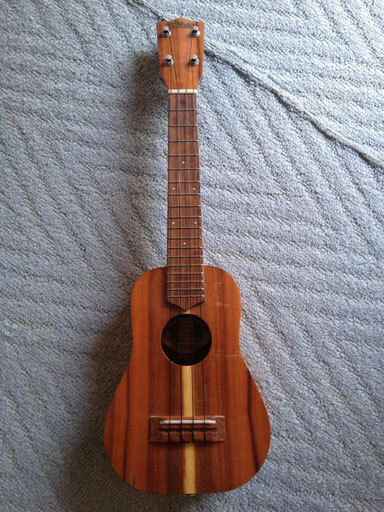 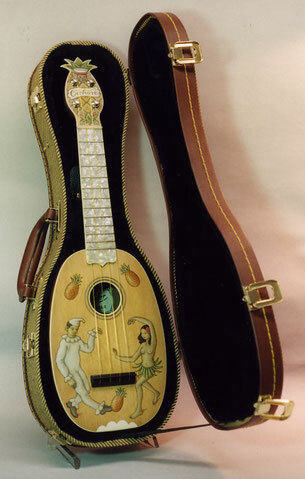 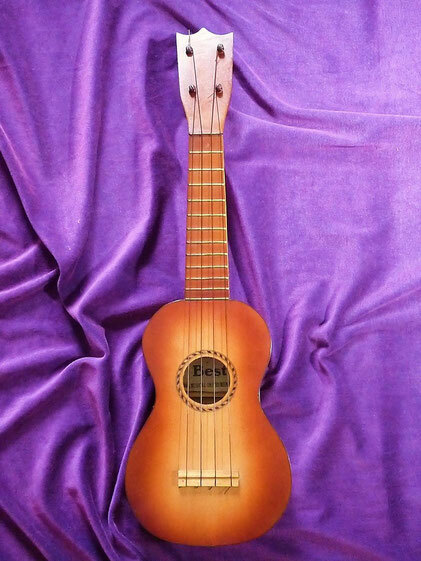 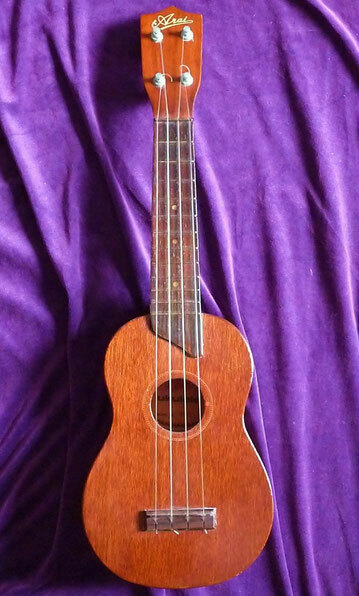 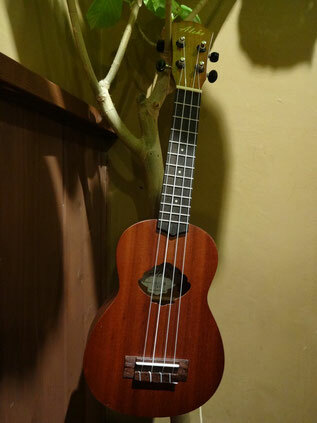 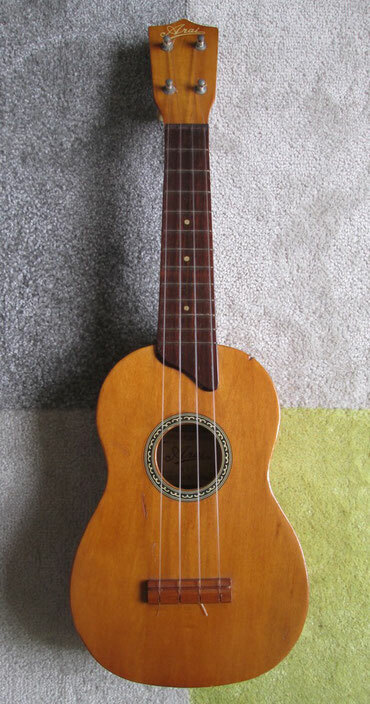 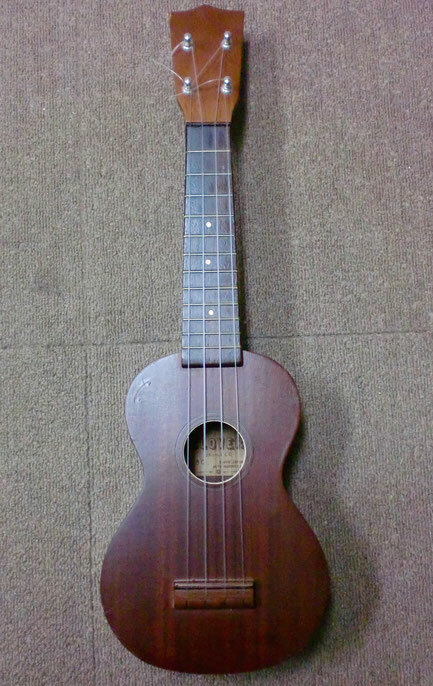 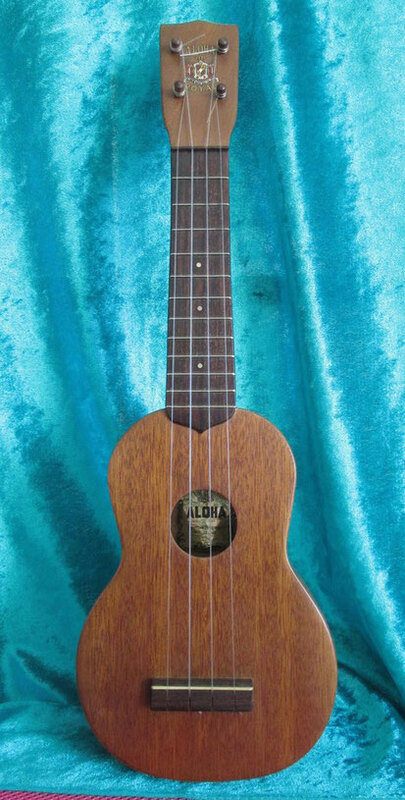 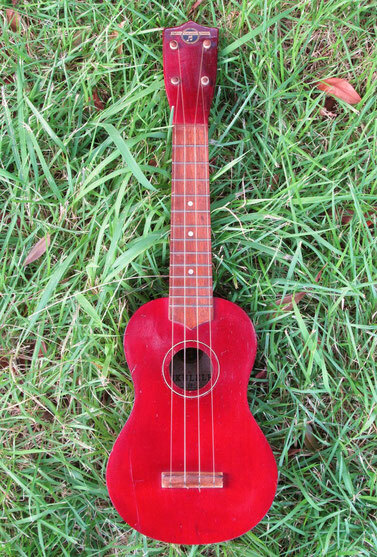 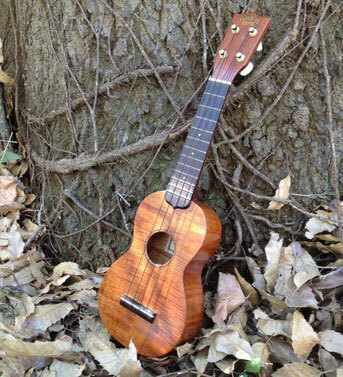 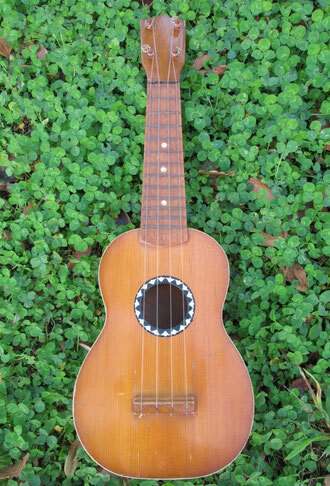 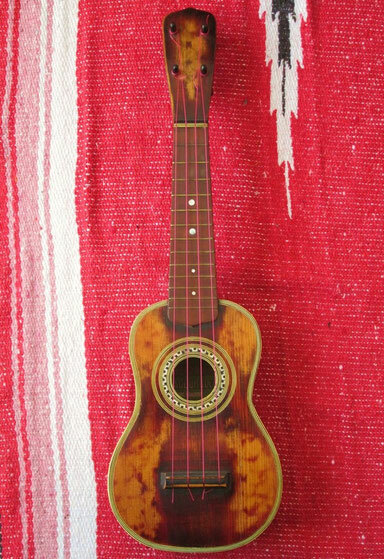 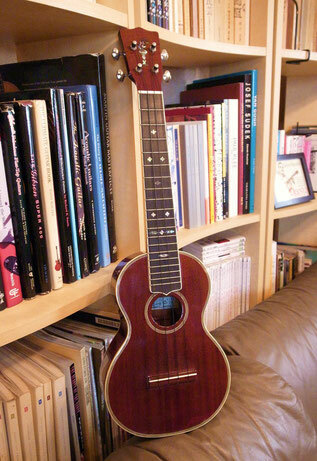 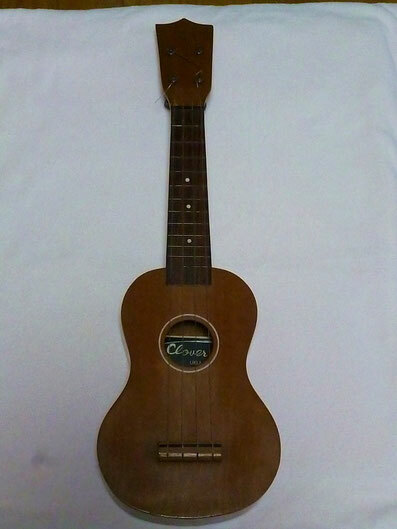 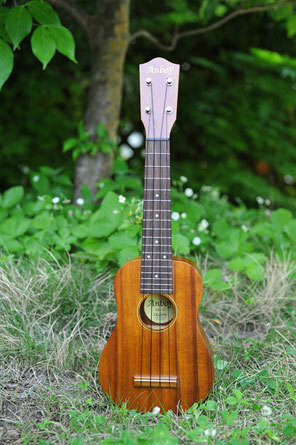 There is a label on the inside with the Tickler logo.It's a pineapple-shaped uke with a special pineapple-shaped headstock.The painting on the front is of a pierrot and a native girl dancing a pineapple dance. 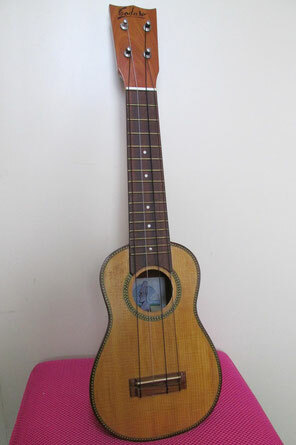 The headstock has a painted pineapple pattern with a monkey's head and the "crehore" name.